Thailand is a tourist country so far transport of international and domestic communication plays a great role. 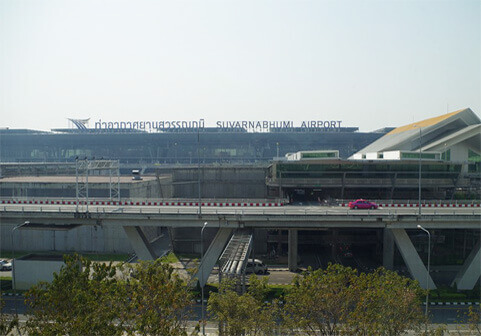 The largest thai airport is BKK airport Suvarnabhumi. 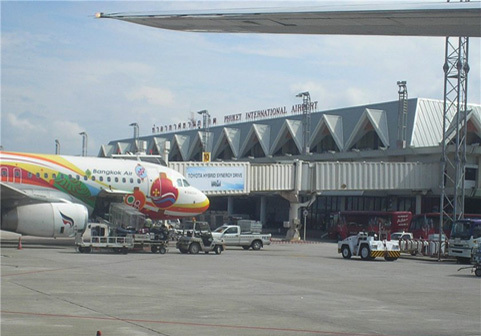 This is one of the largest air hubs in South-East Asia located in 25 kilometers from Bangkok. BKK Airport Suvarnabhumi was founded and started functioning in Septermber 2006. Airport has the highest control tower with height 132.2 meters. The terminal square is 563,000 m2 (only Pekin and Hong Kong terminals are larger). BKK airport Suvarnabhumi is capable to serve 80 flights per hour by default. During the design airport had name "Nong Nguhau", means "The Swamp of Cobras" based on on the characteristics of the terrain on which it is built. 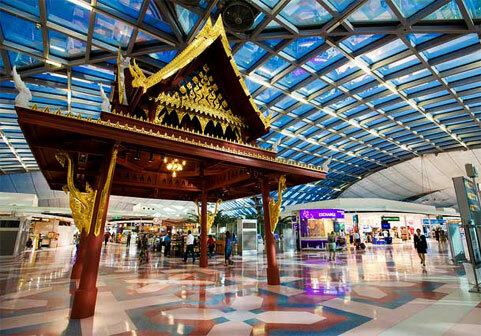 However King of Thailand gave to the airport another name "Suvarnabhumi" means "Golden Kingdom". There are few ways to get from Bangkok airport to Pattaya. The most convenient and quick is taxi. Two types of taxi in Thailand: municipal and private. To get from Bangkok airport to Pattaya is 1 hour 20 min. Need transfer? Book here. 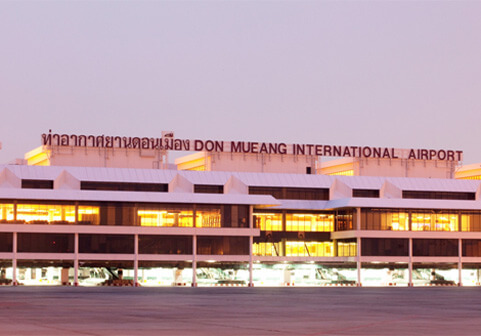 Airport Don Mueang (DMK) was main international airport of Thailand before 2006. It was founded in March 1914 based on Air Force Base of Thailand. It is located in 22 km to the North from Bangkok. Currently DMK airport serves domestic and asian flights. The quickest way to get from DMK airport to Pattaya is - taxi. Way takes around 2.5 hours. 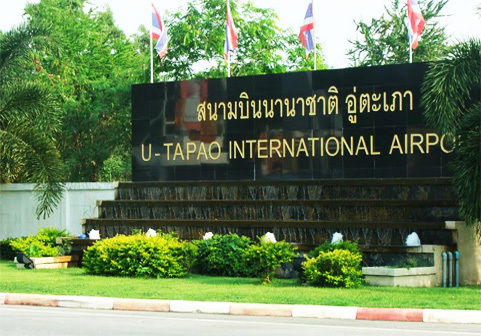 Utapao airport is located in 30 km from Pattaya. The airport is not only civil but also military significance. Currently Utapao serves flight mostly to Samui, Phuket and international charters. 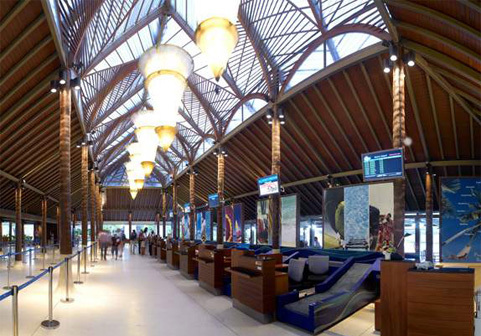 Phuket Airport (HKT) - airport of the largest thai island is located on Kai Mao Beach and in 30 km from Phuket Town. The modern terminal. 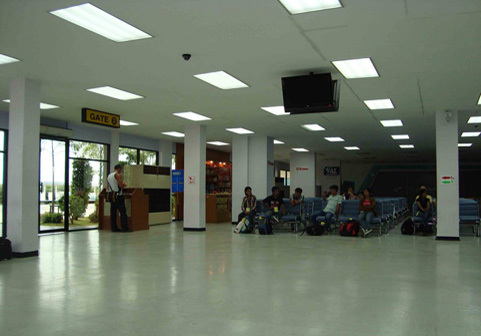 Samui Airport (USM) - one of the most splendid airport of the world located near Pan Gan Pier. It was constructed in the shape of a beautiful wooden house. 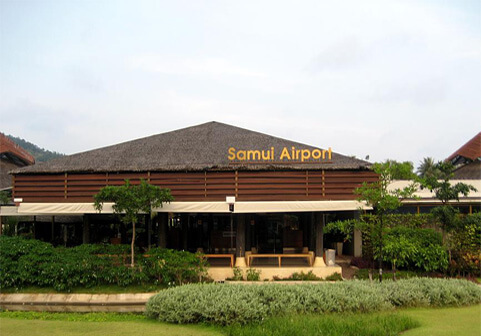 Samui airport is considered as environmentally-friendly. Flowers, flower beds, exotic plants are inside. 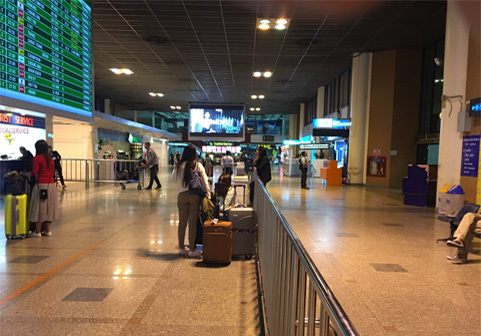 A number of airports of Thailand manage domestic flights and military and commercial transportation as well. Chiang Mai manages military and commercial transportation. 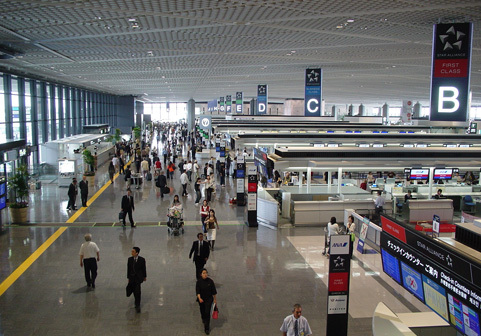 Airport serves domestic and international flights as well. 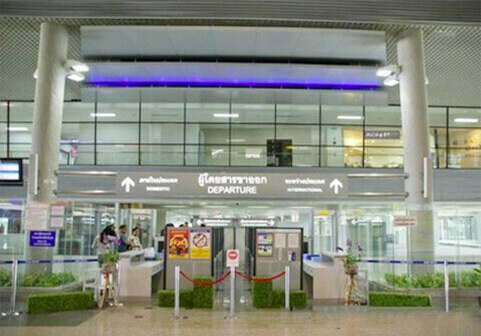 Krabi airport handles domestic flights to Bangkok and international flights to Singapore. The following airports are focused on domestic flights: Trat, Hua Hin, Buri Ram, Chiang Rai, Surat Thani, Udon Thani, Uttaradit etc. 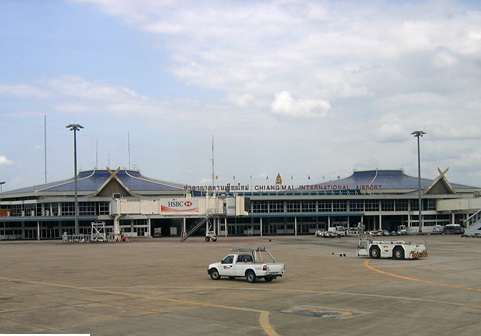 Surat Thani - is main military airport of Thailand.